Rhode Island Manufacturing Association (RIMA) will hold it’s next free seminar on Tuesday, September 11th at the New England Institute of Technology (NEIT) in Warwick, RI. This event will be hosted by the Occupational Safety and Health Administration (OSHA), an agency of the United States Department of Labor that focuses on enforcing health and safety standards by providing training, outreach, education and assistance. The seminar will feature OSHA Compliance Assistance Specialist, Edward Conway. 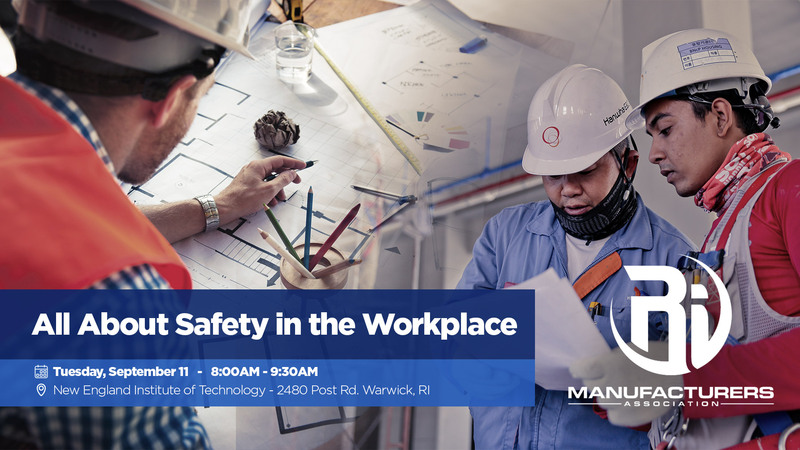 Conway will be explaining how OSHA helps companies grow by ensuring they have a safe workplace for their employees. More specifically, this is an opportunity for Rhode Island manufacturers to develop a better understanding and working relationship with OSHA. “OSHA is an organization that many manufacturers do not look upon as a support organization. This meeting is for OSHA to explain their role and allow manufacturers to better understand how they can help provide a safer workplace, which all manufacturers wish to have,” says Dave Chenevert, Executive Director for RIMA. The free seminar will take place from 8:00AM-9:30AM on Tuesday, September 11th at NEIT’s Post Road Campus, 2480 Post Rd, Warwick, RI 02886. The Rhode Island Manufacturers Association (RIMA) is a 501c(6) organization formed in 1997 to serve as the unified voice of Rhode Island’s manufacturers. As an advocate for strengthening and growing Rhode Island’s manufacturing sector, RIMA engages with government leaders, academic institutions and likeminded organizations to improve the business climate, connect manufacturers with available resources, and facilitate opportunities to create new jobs and business opportunities in the Ocean State. For more information on RIMA, visit www.rimanufacturers.com.